Formerly a new frontier, the Internet has now become a very crowded place. Businesses face intense competition as they try to get noticed in search engine results. At the same time, Internet users are constantly on the lookout for goods and services that will improve their lives. 2015 was the year when an important milestone was reached in Internet search. Even though rumor had it as early as 2014 that mobile search volume would exceed that of desktop, it was in 2015 that the number of mobile searches officially surpassed the number of desktop searches. One of the reasons why this fundamental shift in Internet use is significant is the fact that it reflects the changing needs of Internet users. Mobile users perform their searches on the go, often because they have a very specific and immediate needs that need to be met. For example, shoppers frequently check and compare prices online before they decide which brick-and-mortar store they will visit. 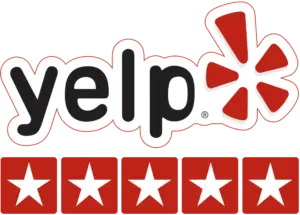 Or, a person looking for a place to eat can look up nearby restaurants, check out their reviews and availability. As you can notice, there is a strong correlation not only between mobile users’ search queries and their immediate needs, but also between their searches and their location (town or neighborhood). And as the era of smart wearable devices that support Internet search is dawning, local searches that are based on users’ hyper-specific location (moving location) could start gaining more and more popularity and importance. Google has now evolved to the point where it can provide specific search results that are suitable for the person who is performing a search. Of course, under the condition that the person is logged into their Google account. Search results are personalized according to several factors, two of which are the person’s search history and their geographic location. Simply put, Google takes all the information it has collected about the user’s preferences, combines it with the user’s location and then matches this information with businesses in the local area to deliver results that best suit user’s needs. From the user perspective, these results are highly relevant, timely and so useful that users can immediately act upon them. At the same time, the traffic personalized search results send to business websites is more targeted and therefore tends to convert better. If you take a look at Google’s history of providing free tools, you will notice they’ve been around for a while. Tools like Analytics and Webmaster Tools (now rebranded as Search Console) find the most use with individuals, small businesses and all sorts of organizations that are challenged by a limited access to resources. Some people say Google has been so generous because it is inclined towards smaller and newer companies and it systematically helps them to establish online presence and market themselves. But without solid argumentation or an official statement on Google’s part, this remains as a mere speculation. However, Google has recently released their search algorithm update targeted particularly at smaller, local businesses. Known publicly as the Pigeon Update, the change was intended to give more visibility to local businesses in search engine results. In the past, when displaying results, Google gave preference to major brands. So, for example, if you were looking for a place to eat a good hamburger, you would be referred to the nearest McDonalds. Now, you’ll get to pick from small but popular burger places in your neighborhood that you hadn’t even known existed. As previously mentioned, Google’s Pigeon Update redefined the importance of local search results in such a way that they’re now being incorporated into and shown parallel to traditional search results. If you’re wondering what has made Google change its course so dramatically, the answer is probably – users. In the face of changing user behavior, Google is making sure to accommodate its users’ needs. At the moment, fifty-nine percent of all searches are now performed with local intent and around half of all mobile searches are conducted in order to find information about a local business, such as business hours or directions to a store. With millions of new websites popping up every year and hundreds of businesses growing into enterprises, small companies have an increasingly hard time getting noticed online. They have fewer resources to invest into search optimization than big brands, so their potential benefit from search engines continues to decline. What this means is that business owners now have to target narrower areas and smaller niches where it’s easier to get their brand in front of prospects. So, even though their company might not show up as one of the top businesses in their country, it stands a good chance of being among the top companies in their town or neighborhood. This way, they can gain desired exposure that can lead to new sales opportunities. As the Internet continues to evolve, search engines will definitely keep evolving with it. And at this moment, it seems that local search could gain even greater importance in connecting search engine users with relevant results and helping businesses increase their visibility. One thing is definitely for sure: local search is no longer an option, but a necessity.